The toddler menu below meets all the requirements of the day. It comes in at 986 calories and all of the grains are whole grains. This comes in just under the 1,000 calories recommended for a toddler who is not very active. Making choices like this leaves a little room for discretionary calories. You have around 165 calories to work with, so you could choose to add a teaspoon of honey to the morning toast for about 20 calories, sprinkle 1/4 cup cheddar cheese on the broccoli at lunch for 133 calories and add another veggie, like onions, to the stir-fry for 15 calories. 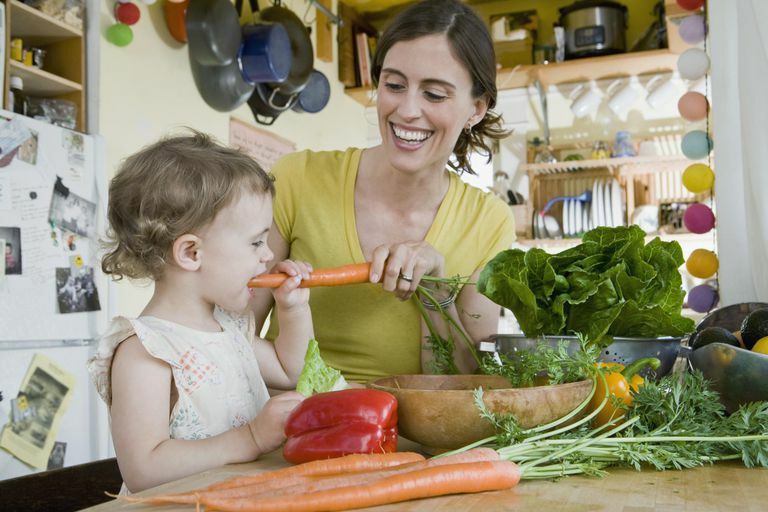 If your toddler is active, you can add calories to reach a total of 1,400. In the menu below you could do this by increasing the amounts of milk and grains or by choosing some refined grains instead of whole grains.